Regardless of the industry you’re in, competition for vacant jobs is ever fierce. 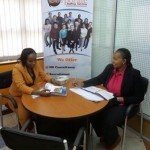 Ms. Ida Kibunja, one of our top recruiters at Corporate Staffing Services notes each application attracts hundreds and often thousands of applicants. As such, you need to have your CV stand out. When your CV stands out above the rest, you’ll have a better chance of being called in for an interview. To make your CV stand out, professionals will entrust CV writing experts –like Corporate Staffing Services, to write them a professional CV and cover letter. This increases their chances of being shortlisted for a job and eventually called in for an interview. Likely, these are the same people who self-diagnose when they’re sick, or try to fix the car when it breaks down. When you think about it, it’s not uncommon to turn to professionals when we need help. You’ll call an electrician if you have electrical issues, or an accountant when you’re trying to file your taxes, or a doctor when you’re unwell. A lawyer or accountant are both experts in their fields. The same goes for professional CV writers. No one can be an expert at everything, we all have our specialties, and CV writing is ours. Your CV is not just a potted history of your past experiences and accomplishments. It is your marketing tool to the employer. Your English may be top-notch and your grammar faultless, but there’s more that goes into writing a CV –and we have this understanding. On average, a recruiter spends half a minute scanning through your application. If the number of applications is more than a few dozen, the time spent on a single CV reduces significantly. To capture the recruiter’s attention for more than the half minute, you need to know how to draft your CV, what words to use, and what to place where. This art, is what professional CV writers focus on. In itself, having the best CV does not guarantee you a job. It does, however, increase your chances of being called in for an interview. Writing is a profession like any other, CV writing is one segment of the business that professionals are interested in, and wish to learn more about. Just like you would call a doctor when sick, a mechanic when your car needs assistance, or an electrician when you’re having power problems, you should also engage a professional CV writer to have your CV written. For a free consultation and review of your CV, visit our offices today, or call us at 0722 735 216. You can also contact Brenda, a professional CV writer at brenda@corporatestaffing.co.ke and she will communicate on the way forward.